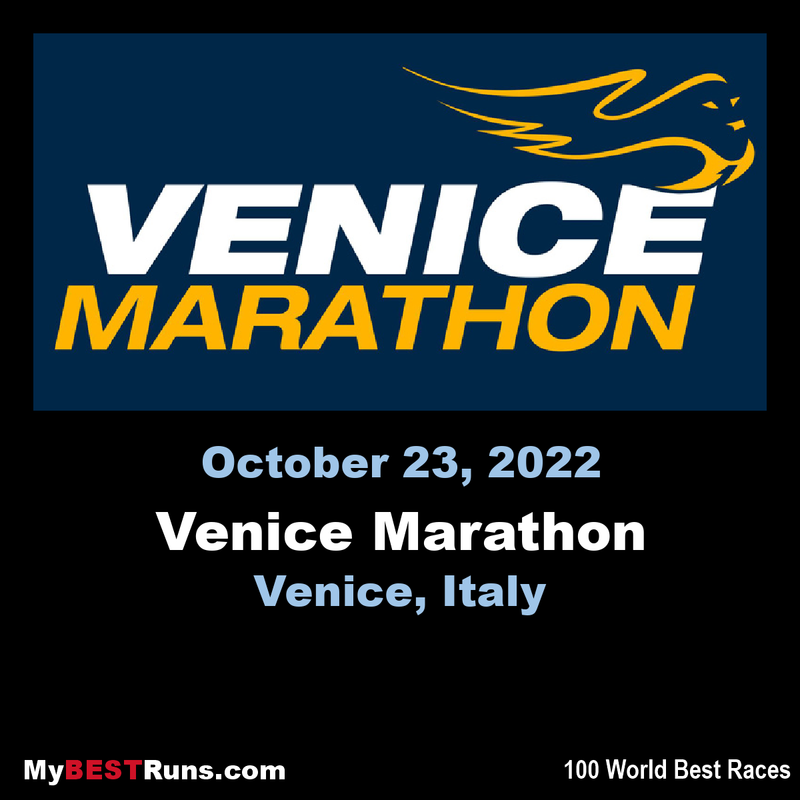 The Venice Marathon is one of the most beautiful marathons known for the historical, artistic and picturesque surrounding in which it takes place. It starts in Stra, a small village located at about 25 km west of Venice, at the beginning of the Riviera del Brenta, a beautiful area near the River Brenta, where the rich and noble Venetians built their summer homes for vacation in the eighteenth century. In this area is the famous Villa Pisani at Stra, the "Queen of the Venetian Villas". In its rooms Doges, kings and emperors have been hosted in the past. Now is a national museum that exposes great art works of the eighteenth and nineteenth centuries including masterpieces of Tiepolo. The marathon runs through the center of Marghera and Mestre, continues for more than 2 km within the San Giuliano Park until Venice crossing the Ponte della Libertà.. Following the Canale della Giudecca till Punta della Dogana, across a floating bridge built specifically for the marathon, runners will arrive to Piazza San Marco, and finally running along the Laguna the race will finish at Riva Sette Martiri in Sestiere di Castello.